here before this Christmas tree. that warmed the boughs of this tree. in the intimate dark of this tree. of this music and moon-gilded tree. giving as branches of this tree. we are one in a word, a tree. Read more about Sister Maura Eichner and her legacy on the Atlantic-Midwest Province website. 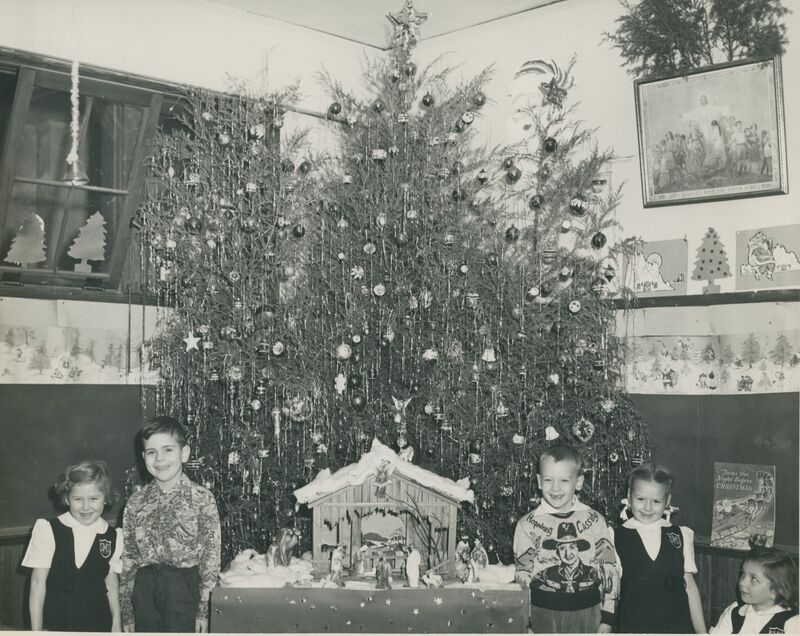 Betty Lou Jameson, Forbes Bowling, John Griffin and Betty Lou Jenkins standing by their class Christmas tree at St. Mary’s in Bryanstown, Maryland, c. 1951. Notice John’s adorable “Hopalong Cassidy” sweater. 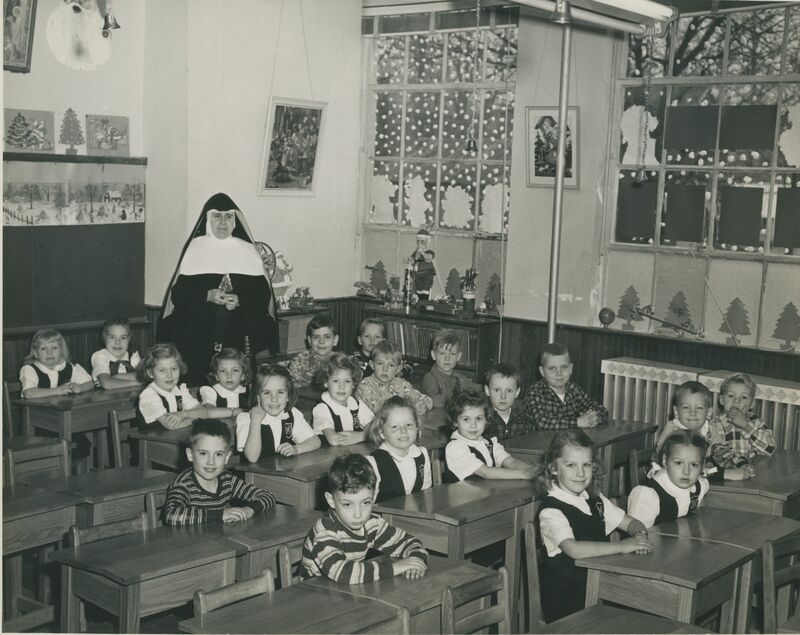 Christmas in Sr. Augustus Dorr’s class at St. Mary’s in Bryanstown, Maryland, c. 1951.